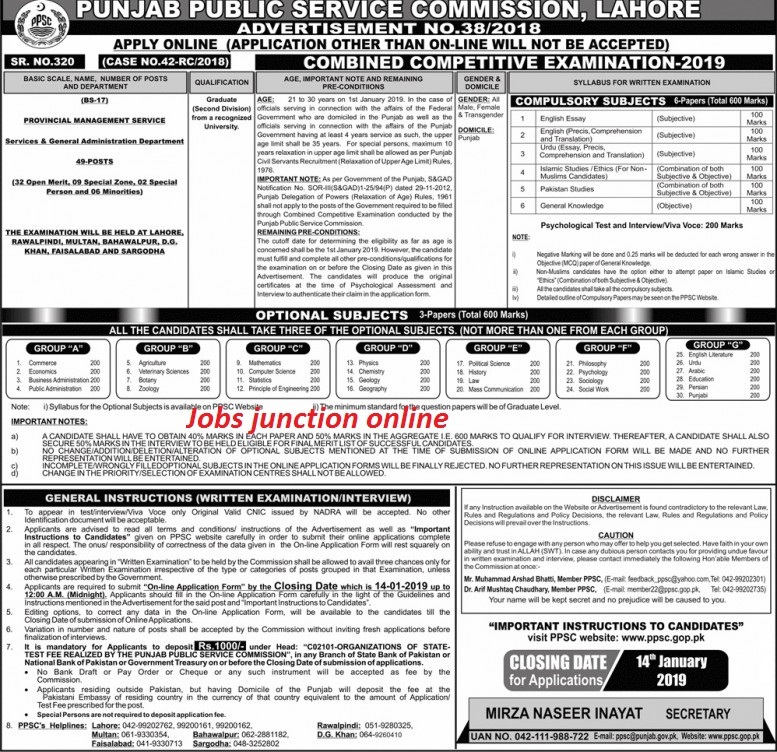 PPSC has announced PMS 2019 Combined Competitive Exam in Punjab. PMS new Advertisement 2019 has been be published by Punjab Public Service Commission (PPSC) for CCE of 49 new Posts of Provincial Management Services (PMS) for recruitment on the posts of Assistant Commissioner, Sections Officers in Consolidated Advertisement number is 38/2018. 49 vacancies are available in PMS 2019. 21 to 30 Years is age limits for Male. 21 to 30 Years is age limits for Female. Plus 5 Years age Relaxation. 2) Fill Online Application Form through PPSC website.